Considered to be America’s no. 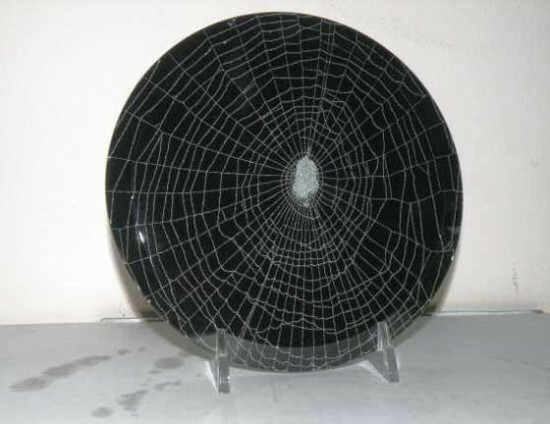 1 spiderweb artist, Emil Fiore, known as Rocky, collects various kinds of spiderwebs and uses them to create unique artworks which he sells on his website, Whirled Wide Webs. Rocky, 58, says he read about how to catch spiderwebs when he was just a kid. The little Golden Guide suggested to spray the web with hairspray and dust it with talcum powder, and because he learned a spider’s web normally lasts only a few hours, this preservation concept stuck in his head for years. He always loved the outdoors, but he only got the idea of collecting spiderwebs in his early 20s. 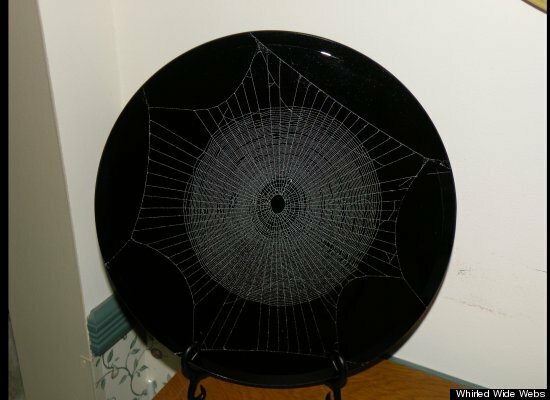 He was experimenting with stained glass and at one point decided to spray paint one of the webs in his vegetable garden and sandwich it between two pieces of glass. It worked, but after 10 years it began to fall apart, and he switched to using just one piece of glass and varnish. 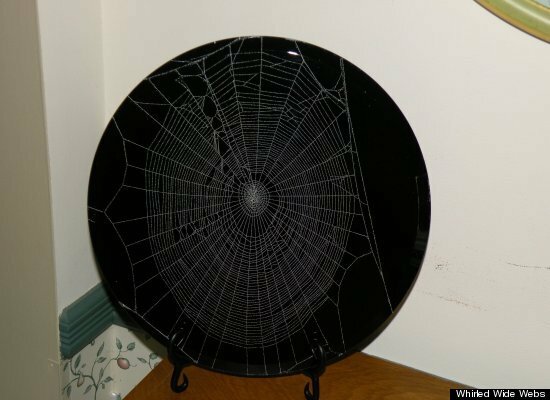 Rocky Fiore usually collects his spiderwebs from the forests around his hometown, Dumont, New Jersey. 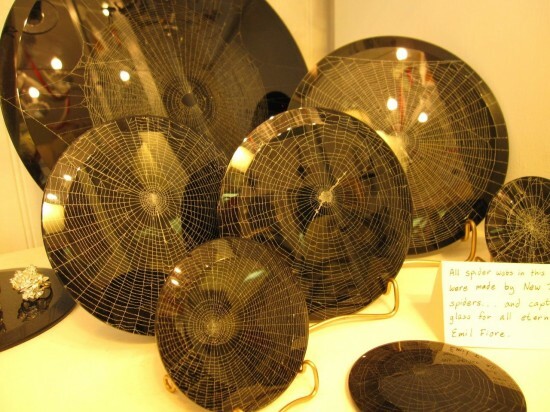 He spray paints them silver on a dark piece of glass and sells them as artworks for up to $200 a pop. The pray caught in the spiderweb remains as part of the artwork as it adds to the story of the piece. Just for the record, Rocky doesn’t collect cobwebs – those obscure masses of silk with no shape or style – but only those intricate web-like traps for flying insects. He never harms the spider.